Carlos Marmol wasn’t particularly good last year. This, we all know, and rehashing it is unnecessary at this point. The reasons for Marmol’s struggles were probably both numerous and varied, but I think we can point to at least two of them without much argument: (1) conditioning, and (2) stuff. They both appeared to be flagging last year – Marmol looked larger than he’s looked in years past, and something looked off about Marmol’s typically devastating slider. Those two issues may not have been Marmol’s only problems last year, but they may be two issues already in his past. That’s because Marmol came to camp lighter than last year, and he’s already changed his mechanics and ditched a pitch that wasn’t working for him. “I worked hard out there and I’m going to try to work more than the year before and have a better year,” Marmol said of an offseason spent running, working out, and riding horses (seriously) in the Dominican Republic. 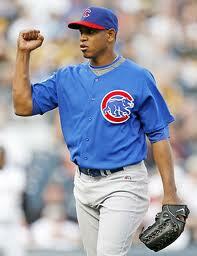 The work paid off, with Marmol having lost as much as 15 pounds. 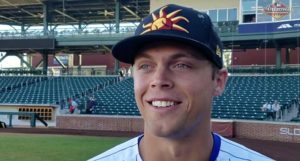 He’s also already been working on his mechanics with new pitching coach Chris Bosio and manager Dale Sveum. 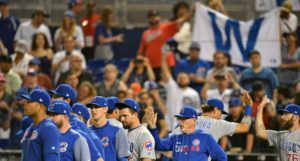 “Chris Bosio has talked to [Marmol] about a few mechanical things about his shoulders and keeping his shoulders level and things like that,” Sveum said. “He wants to lean back and crank velocity and create arm strength through his shoulders, and then he gets out of whack. It’s more just keeping his shoulders in line with the strike zone. I think that will help him tremendously. Moreover, in a bullpen session yesterday, it sounds like Marmol’s characteristically violent follow-through – you know, the one that leaves him halfway over to first base with his back almost facing the batter – was nowhere to be seen. I’m sure it will pop up every now and again, assuming it doesn’t make a full-on return by the time the season rolls around, but it could be mostly gone (in the same way that Alfonso Soriano’s “hop” was mostly gone last year). Perhaps most importantly, Bosio and Sveum told Marmol to ditch his cut fastball, with which Marmol had little to no success last year. Marmol’s cut fastball, theoretically, tailed hard left. But, as astutely suggested by Harry Pavlidis, who spoke at length about Marmol’s issues last year, there’s a bit of a problem when your three pitches are roughly as follows: a 92 MPH fastball with little movement, an 89 MPH cut fastball that moves hard left, and an 86 MPH slider that moves hard left and down. In short, there isn’t enough differentiation between the pitches. So, the cut fastball is gone (perhaps taught to him by Kerry Wood, who himself learned it from Mariano Rivera – proof that not everyone, no matter how talented or how hard they work at it, can execute all pitches), and Marmol will probably be back to being more of a two pitch guy. With a little more zip and location on his fastball, two pitches is really all Marmol needs to be successful. 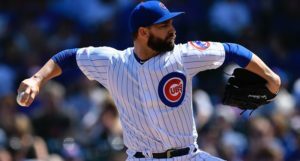 A reformed Marmol could mean more to the Cubs than you think. The Cubs went on to lose 8 of the 10 games in which Marmol blew a save. If Marmol pulled an Eric Gagne and converted all of those save chances, the Cubs go 79-83 last year. That may not sound like a great season, but it represents a single player taking a team from 71-91 to near .500.